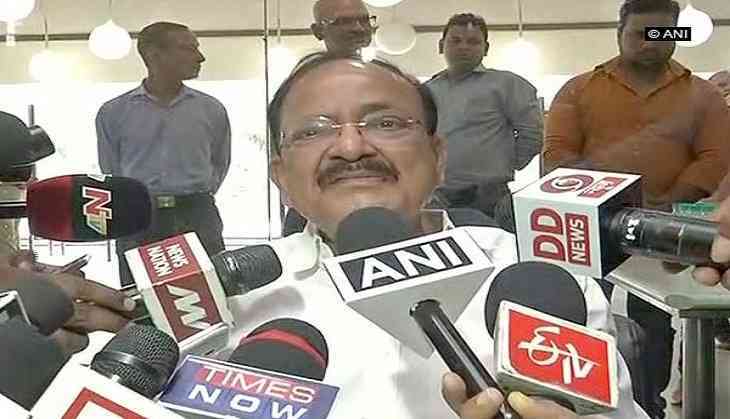 Union Minister M. Venkaiah Naidu on Friday condemned the killing of a man on the suspicion of carrying beef in Jharkahnd and said the matter must not be viewed from a religious angle. "It has been condemned by and one all. The Prime Minister also, for the second, time spoke about it. It is happening in different parts of the country and it's a really shame, barbaric and atrocious. Don't bring religious angle into this," Naidu said. He asked the law enforcing agencies, including the police, at the district and the state level, to take effective action so that there is no recurrence of such incident in the future. Just hours after Prime Minster Narendra Modi condemned the killings in the name of cow protection, a Jharkhand man was attacked by a mob on the suspicion carrying beef in his car on Thursday. He was stopped by a group of people near Bajartand village before being brutally killed. The van was later set on fire. A case has been registered on the basis of a video footage of the lynching. Superintendent of Police Kishore Kaushal said a thorough investigation will be made into the whole incident. READ NEXT >> Make your Zumba routine yet more happening!